RICHMOND, VA — Sports Backers and the Richmond City Health District announced the launch of the next class of the Fitness Warriors program, and the application period for those interested in joining the program is now open. The deadline to apply is May 4th, and the link to the application is available here: https://www.tfaforms.com/4728001. 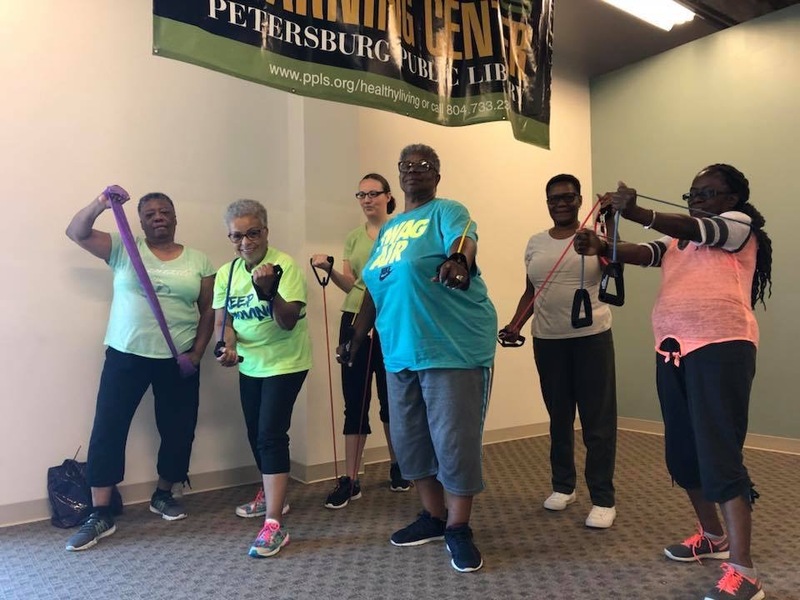 The Fitness Warriors program trains members of the community with talent, passion, and potential to be professional fitness instructors in neighborhoods with the highest rates of chronic disease. Fitness Warriors make a deliberate effort to break down barriers to physical activity and provide increased access to fitness opportunities to residents of all corners of the Richmond region. Fitness Warriors are selected for their skills and leadership and receive free training to be group exercise instructors. Throughout the program, Warrior Recruits meet as a class and receive dedicated training and support, as well as the guidance and mentorship of previous Warrior graduates. Tuesday, April 9, 5:30pm-6:30pm: Richmond Public Library, Main Branch, 101 E. Franklin St.
Thursday, April 18, 7:00pm-7:45pm: Hopewell Community Center, 1000 W. City Point Rd. Wednesday, April 24, 6:00pm-7:00pm: Southside Community Center, 6255 Old Warwick Rd. As part of their training, Fitness Warriors teach hundreds of hours of free fitness classes, working in communities to expand the fitness opportunities offered through schools, churches, senior residences, community centers, and other settings. In the process, Warrior Recruits hone their skills and provide a vital resource for communities that otherwise lack ready access to daily fitness and physical activity opportunities. The Fitness Warriors program has had a tremendous impact on communities throughout the Richmond region since its inception in 2014. In just five years, 114 Warriors have completed the program, and many of these graduates continue to lead free classes, empower new instructors and class participants, and serve as leaders in the fitness industry. According to data collected from July 2017- June 2018, 1,964 individuals came to a Fitness Warrior class for the first time. 88 percent of first-time participants self-identified as overweight or obese and 81 percent reported getting less than 150 minutes of physical activity per week, the Center for Disease Control’s recommended minimum for chronic disease prevention. Many first-time participants became regulars, as evidenced by having a total number of 13,563 visits in 2018. In follow-up surveys, class participants reported weight loss, reduced need for medications, reduced stress, improved mood, improved ability to function in daily activities, as well as increased energy level, flexibility, strength, and cardiovascular endurance. The Fitness Warriors program is a partnership between Sports Backers, the Richmond City Health District, Fit-To-Go, and the American Council on Exercise (ACE), with generous support from the Anthem Foundation, Virginia Premier Health Plan, Cameron Foundation, John Randolph Foundation, and the Virginia Department of Health. To learn more about Fitness Warriors or to host group exercise classes for your community, visit https://www.sportsbackers.org/program/fitness-warriors/.